In the last couple of months I've made some pretty big changes in my businesses and life and while these changes are good, what comes with change isn't always easy to deal with. In making some of my choices, I've felt moments of fear and anxiety. Part of me asks, "Am I doing the right thing?" and "Is doing this worth the consequences you'll deal with?" And while I'd like to say my answer is always yes to these questions, the truth is that sometimes its not. Change can be a dragon, mythological in its power in your life, teasing in its glory, yet frightening when faced head on, even with all your preparations. Change brings with it uncertainty. We step out of the comfortable confines of whatever it is we've been doing and even if we've defined a result (always define your results), there is still those natural feelings of fear and anxiety. And we can and should acknowledge those feelings, but what we shouldn't do is let them take over, because once that happens we'll sabotage the very change we seek to bring into our lives. Change seems like a dragon, but the reality is that change is your ally, if you make it into one. Today I want to talk about how working with change can greatly enhance your life (which participants in JOY, the upcoming life altering class on mastering internal work and applying it to your life, will accomplish) if you learn how to work with it and its agents instead of resisting it. To turn change into your ally you've got to engage it on all levels of your being, starting with your feelings. Embrace ALL of your feelings. The happiness and the fear, the excitement and the anxiety. All of those emotions are part of this process of change, but if you only focus on the positive ones, you're doing yourself a disservice. The negative emotions, as terrifying as they may seem to be, can also be a great source of inspiration. Fear can paralyze you or it can motivate you to push through and do the work you need to do. When I have different emotions come up in relationship to the change I'm creating and going through, I open myself to the feelings, and feel them. I don't think about them...I feel them in my body. My stomach knots up as I feel fear, my pulse races a bit as I feel anxiety, and yet I allow it...and keep myself present with what I'm feeling. By feeling it, I'm actually allowing myself to process and let go of the attachments the emotions embody. You can do this to. When you feel fear, allow yourself to feel that fear to uncover what comes up in relationship to it. You may find that other emotions such as shame and guilt come up, which also need to be experienced. You might find that a specific event triggered the feeling and that you need to process that event. In my case, it was choosing to leave two networking leads groups I've been part of. Rationally I have excellent reasons for making the choice to leave, but emotionally it was hard to do and it felt like I was pushing myself out of a nest. Allowing myself to acknowledge that helped me feel the emotions and let go of their hold on me, because now they were acknowledged. By embracing your darkest emotions, you turn them into fuel that empowers the change you seek to manifest in your life. You turn resistance into advantage. With change, comes resistance. Your feelings are one form of that resistance, because they show up to try and keep you in the dead weight of your status quo. But when you embrace your feelings and accept them, you turn them into allies and as a result you turn their inertia of resistance into the momentum that powers your success. The primary resistance you'll always encounter with change is your internal fears and doubts rearing up to hold you back and until you harness them and turn them into your allies they will convince you not to taken action, to stay in the comfortable discomfort of your status quo. And not surprisingly you'll find that your external circumstances mirror the internal fears and doubts holding you back. To truly hold space with your feelings and turn them into allies you need to shed the dead weight of the status quo. For me shedding the dead weight of my status quo involved choosing to leave the networking groups I was part of. The networking groups in and of themselves weren't the problem. How I was showing up and feeling was the issue and until I gave myself permission to leave and shuck off the status quo, I couldn't effectively confront those feelings or how their resistance was stopping me. It was only when I could let go of the external situation, the obligation and other associations with it that I could then come face to face with my resistance and begin to turn it into an ally. Your external situations mirror your internal reality because some part of you has created an agreement that you want to have that situation in your life. If that sounds messed up, just consider how many people settle for situations where they are miserable because some part of them feels they deserve it. That part is rooted in your feelings about yourself, such as doubt and fear. Until you embrace those emotions and turn them into allies, they will continue to hold you back, depriving you of the momentum you need to move forward. When you look at the situations you are in and you own how you show up in them, then you can get rid of the dead weight of status quo and start making the changes in your life and business from a place of informed awareness and empowerment. You're no longer staying in those situations, but instead choosing to do something about them, which is all part of the process of inner alchemy unfolding in your life! It's possible to tame the dragon of change and turn it into a transformative alchemical agent that puts you in touch with the momentum necessary to create your success. It's possible to take your emotions of fear and doubt and transform them into inspiration and motivation that fuels the manifestation of what you really want. We'll be covering this (and much more!) in JOY. You step into your own power and exert it on yourself and the world. You create a new identity that is in touch with your deepest values and joys and helps you turn all of that into more wealth, joy, and love in your life. You become the person you know yourself to be and stop getting in the way of your own success. JOY is a practical magic virtual course that shows you how to align your internal reality with the possibilities you want to manifest in the world around you. Registration for JOY starts on April 4th, 2016 and closes on April 11th 2016. 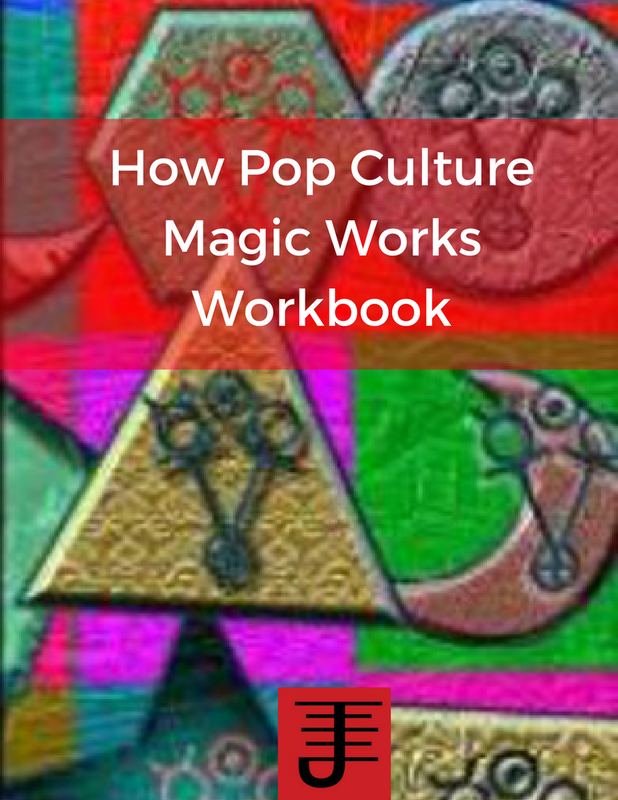 Turn your emotions into your allies and into momentum in your magical work. Manifest your wealth and joy in your life. 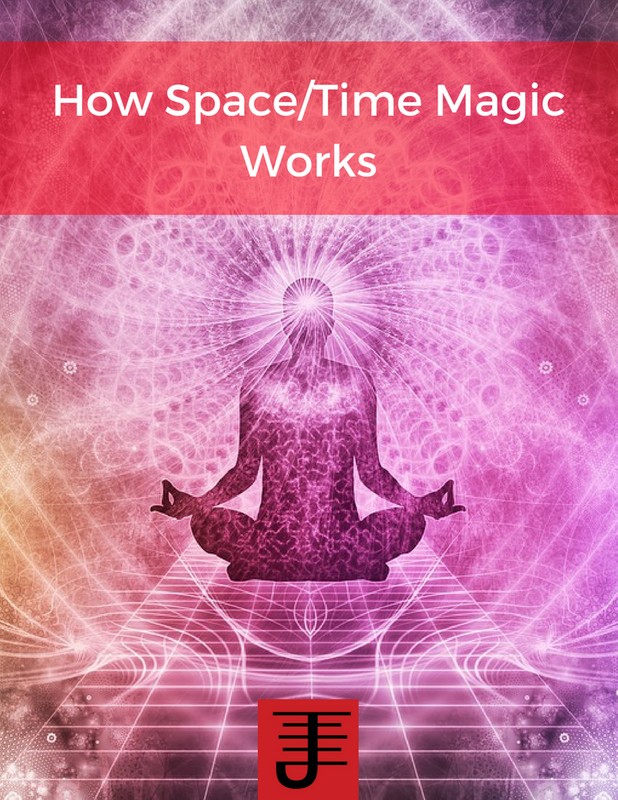 Connect with other magical people taking this class. Discover your internal power and apply it to the world around you. Learn how to align your internal reality with the possibilities you want to manifest. Want to learn more? You'll be hearing a lot more about JOY soon. Scarcity is not merely the gap between resources and desires on average...To be free from a scarcity trap, it is not enough to have more resources than desires on average. It is important enough to have enough slack (or some other mechanism) for handling the big shocks that may come one's way at any moment...periods of scarcity can elicit behaviors that end up pulling us from into a scarcity trap. And with scarcity traps, what would otherwise be periods of abundance punctuated by moments of scarcity can quickly become perpetual scarcity. This, incidentally, does not mean that the only way to avoid scarcity traps is to have wealth large enough to weather all shocks...this discussion highlights the need for instruments for buffering against shocks. From Scarcity by Sendhil Mullainathan and Eldar Shafir. Scarcity is partially derived from a person's identity and relationship with money and other sources of wealth, but it is also significantly derived from the environment a person is in and how that environment is set up. The environmental variables a person deals with play a significant role in the experience of scarcity or wealth. I would argue that the more reactive a person is to his/her environment, the more likely that person is dealing with scarcity traps. Scarcity encourages reactions, because when a person is dealing with scarcity, what they are typically dealing with is how to survive the current situation they are dealing with, as opposed to planning for the future. Consequently a person dealing with scarcity of some type is in a place of reaction, and unlikely to find their way out of such reaction, because the solutions generated are primarily short term solutions. Not surprisingly the majority of so-called wealth magic is really a reactive approach to handling problems, and so it would be more apt to label it scarcity magic. It's magic done for the purpose of dealing with a crisis, as opposed to magic being done as a form of proactive planning for the future. Scarcity isn't just limited to money. Scarcity can also be applied to time, or space, or other environmental aspects that are important to a person, but I do think if you find scarcity in one area of a person's life, you'll probably find it in other areas as well. The reason for that is because scarcity is a domino affect. When you experience scarcity, you cognitively end up tunneling, or hyper focusing if you will, on the actual problem that's causing the scarcity. While that tunneling can be somewhat useful for solving the problem, it causes a person to ignore other possibilities and environmental variables that while not tied to the issue at hand, nonetheless affect the person. This then sets the person for further experiences of scarcity, for further shocks if you will that deepen the experience of scarcity. Now you might be tempted to believe that if a person just learned the right skills, scarcity wouldn't be an issue, but scarcity isn't simply a result of skill deficiency. While the skills a person has can help that person navigate scarcity, the environmental variables the person is dealing with are not always something that can be handled by skill alone. The truth is we aren't always in control of the environment we are in, and even when do have control of the environment, it's typically a limited form of control. If the wrong situation occurs at the wrong time (for the person, then despite all the skills the person has s/he can still be dealing with scarcity. But what then of magic? Isn't magic supposed to provide us some means of control over the environment around us? Yes and no. Magic can provide a way to navigate and work with the environment, but even with magic (or science or anything else) you won't control everything around you. And that lack of control is where scarcity seems to show up. So how then can a person manage scarcity, with magic or anything else? True wealth magic is proactive magic. It's magic which is formulated as a design, a plan, if you will to help you manage scarcity and accept that while you don't have complete control of your environment what you do have control over is how you respond to situations. The best response to any situation are designed responses that anticipate situations as best as possible, and if nothing else give you the breathing room to make a situation that isn't informed by the need for an immediate solution. Wealth magic alone isn't enough, but wealth magic encourages the active development of a plan. The wealth magic practitioner also recognizes the need to actively study different forms of wealth management and integrate that management into their lifestyle, as well as magical practice. Ideally the wealth magic practitioner is learning about topics which can include magic, but should also include education on finances, relationships, business (especially if you own one) and other related topics. Wealth management is the effective management of your resources for three purposes. The first purpose is the cultivation of the lifestyle you want to live. The second purpose is to maintain that lifestyle should you choose to retire. The final purpose is to be able to handle moments of scarcity, without letting those moments become longer than they need to be. Management of wealth isn't just money, but is also your time, relationships and various other resources that contribute to you living the life you wish to live. It's also proactive management of scarcity. Proactive wealth magic is utilized in tandem with the skills a person learns from other disciplines, in order to design one's life and anticipate as best as possible environmental aspects that could affect the plan. By taking such an approach, scarcity can be managed and planned for. You won't escape the experience of scarcity, but you will be able to limit it and how it effects your life. And you'll also have steps in place to get you back on track to living your life the way you want to. Magical Experiments podcast: Interview with Stephanie Conolly about Demonolatry. At the end of each year, I crunch the numbers and look at the totals for my businesses, in order to get the financial numbers ready for tax season. But one of the other things I do is look at where my income has originated from. In my approach to my business and to financial wealth magic in general, I'm a firm believer in multiple streams of income. I don't feel that relying on just one source of income is wise, but more importantly, I find that what makes magic successful in general is taking a multi-pronged approach to generating the results you want. When I first started working with Bune in 2011, he advised me to create some new income streams and I found that following his advice made a significant difference in my success each year because I have multiple streams. Bune also advised me to set the streams up so that while their might be a lot of work initially in creating them, there would be very little work needed in maintaining them. Instead, if anything, the low effort streams would help to support and sustain the high efforts stream, creating a kind of resonant wealth energy that would enhance each stream of income. The way I approach financial wealth magic then is to create multiple means of generating wealth, which also spread the wealth energy to other avenues, creating a network of support and sustenance. It's a continual process that has no real end, so much as it has refinement. A lot of the lessons I've learned in the past year in relationship to running a business are being applied to this approach to wealth magic. When I set out to create a new income stream, I test the process out multiple times until I'm certain it will work. For example, I'm in the process of testing out webinar technology. First I'll do a free workshop, and if that works, I'll try something else with it and continue refining it until it becomes what I need it to be and feeds into the rest of the network to help enhance and support what is already there. There's not a lot of magic involved in this, beyond the fact that approaching wealth in this way wasn't something I'd conceived of until I chose to work with a specific entity and allowed it to offer insights and advice that could focus my efforts in specific ways I might not have thought of before. I don't think money magic is the same as wealth magic. Money magic is used to solve a problem. Wealth magic is used to create a system that generates specific outcomes. I prefer the latter approach and I'm glad that Bune steered me toward it through his advice. The actual network itself is of course comprised of very specific actions, services, and products, and may not seem overtly magical, but wealth magic isn't always about the magic you could do so much as the system you create. That system can be very magical in its own way, especially when you treat it as a way of thinking and being that modifies your approach to whatever else you do. I work the system and the system works me and what is created is both a very conscious act of magic and an unconscious conditioning of skills and patterns that can be executed and replicated with very little effort once everything is put into place. Do you approach wealth magic as a system and if so what kind of system would you describe it as? In Born for Love the authors explore the relationship between love and empathy via neuroscience and social science, showing why love is important for healthy development and relationships and also why it is endangered in our society. This is a compelling book to read that helped me understand how to connect better with my wife, family and friends, as well as understand love in a holistic way. This book will give you a lot to think about in regards to love and its place in your life. the case studies and examples the authors draw on illustrate the importance of love and what happens when love isn't in a person's life. With Manifesting Wealth, one of the things I've decided to do is offer updates. If you've bought a copy of the book and you go to the resource page listed in the book, you'll be able to access updates for the book, which will eventually go into a revised version of the book. 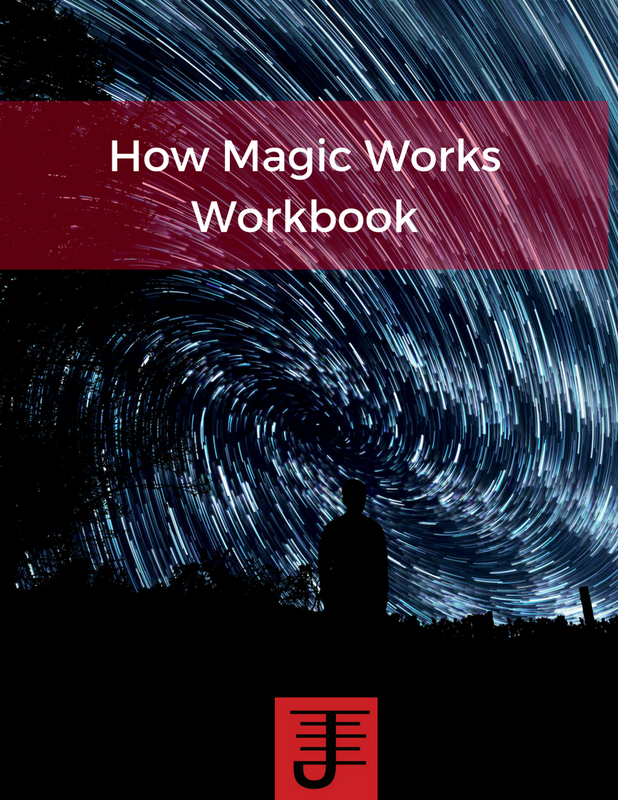 The updates are comprised of my continued workings in wealth magic, as well as other resources that you can use to help you with your own wealth magic work. On the wealth magic front, I've been working my plan and processes and what I'm seeing as a result is a consistent increase in business, as well as achieving certain personal financial and health goals that I've been working toward. I've gotten more clients, developed more classes, and the finances are being whipped into shape. I'm pretty pleased with my own plan is being achieved, with the right touch of magic and help from spiritual allies such as Bune, as well as my own efforts. Wealth magic is a process of design. It's not something you stumble into, but something you plan. I recently read a post on pagansquare where the author discussed whether or not it was ethical to charge money for magical services. He didn't really seem to take one side or another in his post and his response to my comment was equally muddled, but it did get me thinking about barter vs money. As readers of this blog know I'm writing a book on wealth magic and as such I've been doing a lot of work and thinking around money as one component of wealth. I've also done a lot of thinking about bartering, especially because, in one of my businesses, I've engaged in bartering. Here's what I've discovered about bartering: You rarely get the value you were hoping to get from the barter. I certainly haven't in my bartering situations and its because bartering isn't attached to a fixed value in the way that money is. So its much easier to be disappointed with bartering and its why I no longer barter for services or products. Here's the magic behind money: With money you have a fixed, artificial value attached to a service or product. I say artificial because the truth is that the money you pay for anything is actually the smallest value, if the service or product is done right, but what makes money effective is that value is established to a number and that number provides reassurance on both sides of the transaction that value is being exchanged. But like I said if its done right the money paid is the least value you get from a service or product. What a service or product should do is provide an experience where the value easily exceeds the amount of money you've paid. For example when I buy a video game I'm not just buying the software. I'm also buying the enjoyment I get from the game, the hours I spend playing it and the experiences I have. As such the money I pay is a small price, if I enjoy the game. Personally I feel cheated if I haven't replayed a game at least twice before returning it...that's the least amount of value I want to get for a given game. In my businesses, which are more service oriented, I need to continually provide value that shows my clients why investing money is worth their while. If I can't clearly establish the value of what I offer continually they'll eventually move on. So with the Process of Magic class for example, you don't just get 24 lessons, or a free pdf, but a chance to talk with via a teleconference every other month, plus a dedicated forum to interact with me and the other students. And you better believe that I make it a point to respond to emails regularly when I receive them. I want my students to feel acknowledged, taken care of and appreciated. I want to give them real value because I know that the price of the class should be the furthest thing from their mind if I'm doing it right. See how this relates to wealth magic? If you want to do wealth magic for your business then one of the first factors you need to consider is how much wealth (value) you are bringing into the lives of your clients. After all, if you want them to bring wealth into your life, you need to be willing to give wealth (value) that justifies their choice to spend money on you. And part of giving that value involves establishing a relationship with your client where s/he feels valued and acknowledged. To do that you've got to think of ways to provide a return on investment that exceeds the artificial value of what you've been paid. You need to give in order to get. Money is the lowest value of what you get and give, but it sets up the initial value and challenges you to improve on it. In February I decided to create a wealth magic entity, specifically a sales magic entity. I was feeling frustrated with my lack of sales for my day business and I felt that what I needed was some help getting those sales. I realized I was too close to the situation so I created the sales entity (picture above) in order to help me improve my sales. The entity was supposed to help me find my ideal prospects and then help me close sales. I fueled him initially with the stress, frustration, and anger I was feeling about not having enough sales, and then tied it also to any sales activities I did. I finished the creation of him at the end of February. I have since done a variety of sales activities including cold calling, offering classes, and offering free coaching sessions. It's now mid April and since the creation of this entity there has been more activity in my business. From mid March to Mid April I've seen a rise in prospects with me having meetings with 3-5 new prospects each week. These prospects have come from classes I've offered, but have also been referrals and in one case even a person who wanted to connect via Linkedin. The prospects ranged from being solopreneurs to having employees, and some of them are very successful while others are struggling. All of them have needed an outside consultant. Thus far I've had one yes and quite a few no's (which often means not right now). I'm not ready to rule out that this entity is a success because if you read enough sales books one of the realizations you quickly have is that you hear no quite a lot. In fact, one of my favorite sales books is titled Go for No, which posits that you will hear no a lot more often than you will hear yes. Also this entity has only been in existence for a short while and I recognize that all of my activity is teaching it how it can help me. However, I also see the need to tweak the entity in order to improve its performance. I'm going to focus on improving its prospect finding. When you create an entity like this one, you can learn a lot from its early performance and use that as an indicator of what to work on or help it improve. If you expect the entity to be perfect from the get go, you will be disappointed. There is always room for improvement, and if you recognize this, then you can examine the initial actions of the entity and refine what it does so that it produces better results. So that's what I'll do, based off what I've learned so far. It works, but it needs improvement. I ask each week for questions people have about magic. I received two questions this week, but they are both good ones. Here's the first one: Since you're working on a new book on the subject of Wealth Magic, do you have any examples of works of wealth magic you've done in the past that have returned positive results? I'm going to share two examples, both of which will appear in the forthcoming book. The first example is a recent working I participated in. I was asked to create a sigil for a sigil game on a Facebook group. I actually created five sigils and linked them together. The people involved in the experiment agreed to charge and fire the sigils in their own unique way. I chose to let them do the charging, though I also saved the original sigils to do a firing of my own. The actual sigil game got extended an extra month which told me the sigils were already working, because one of my desires was for the game to be extended long enough to get enough people to charge it and fire the sigils. The sigils were designed to provide benefits to the people charging and firing them, most notably in areas of their lives where they needed changes in identity or needed to do internal work. And for me the focus of the sigils was on bringing some wealth to my life in terms of income and in providing information that would suggest a way to help me grow my business more effectively than had occurred to date. There was also one other purpose, which I'm not going to reveal at this time, but I'll know in the near future if matters have turned in my favor and I'll share it then. I fired the sigils a couple weeks ago. People who participated in the game reported working on aspects of their identity where they needed to work on them, and noted that they felt a push to change those aspects of themselves. On my end, several speaking gigs were lined up, which turned into some extra work, but also provided me the information I needed to tweak my business model. I have a much better idea of my target clientele as a result and I'm already starting to network at meetings which will connect me to those people. The second example involves the creation of a series of drawings that have been used to evoke planetary energy into my life for the purposes of wealth. I worked with the planetary energies and received a personalized symbol for each planet. I then created drawings for each symbol and used the drawings to evoke the energy of the planets. I actually switch the drawings on different days, to create a specific current of planetary energy for a day or a period of time that influences the business activities I'm doing. I've noticed that the character of a given day and the interactions I have seem to be impacted by the switching of one planetary energy for another. It's an on-going experiment. Those are a couple examples, but there's more in the book and you can also find an example of two in Manifesting Prosperity. The second question was: What are the practical differences between NLP, Scientology, and Magick? I can't speak in regards to Scientology, having never read or gotten into that particular system ( and with no desire to either). As for practical differences between NLP and magic...What I understand of NLP indicates to me a system that is used to alter behavior in people, specifically to get other people to alter their behavior as a result of NLP techniques you use to induce specific changes. A lot of it is linguistic and body language based, with some psychology applied. Magic, while it can focus on behavioral change, also involves working with spirits and other forces to induce practical changes in a person and his/her environment. I see magic as an activity that is more focused on inducing changes with a person and a person's relationship to others and the world, as opposed to inducing behavioral changes as occurs with NLP. In this book, the author presents the foundations of demonolatry and explains how the magical system/religion works as well as how to work with the demons. The book covers a variety of topics including holidays, funerals, weddings, and other rituals. I found this book useful as a reference guide, particularly if you want to work in the demonolatric tradition. Some lessons are also included which can be helpful for learning the practices involved. At the same time, this is a book, and while its useful as an introduction to demonolatry, practitioners who want to learn more about this tradition will need to find other demonolaters to work with. I do recommend reading this book. It will provide a firm foundation for learning about demonolatry. This principle relates directly to the amount of economic support that the universe is willing to provide any particular individual at any given time in their life. The sphere of availability for each person is variable, in that it may either expand or contract by the thoughts, actions, and beliefs of the person themselves. The more sincerely grateful that a person is, and the more truly charitable they are, the greater this sphere of availability becomes. On the other hand, the more greedy that a person is for material things, and the more they turn from properly relating to their fellow man in a charitable way, the more their sphere of availability contracts. He goes onto argue that anonymously giving out small sums is more spiritually productive than giving out large sums to charities. It's a nice sentiment, but I'm not convinced of it, much as I'm not convinced of the new age law of attraction, which is a similar derivative of what's mentioned above. Speaking as a business owner I can say that the majority of people I've met who are financially successful are very focused on making money. They have developed a relationship to money that makes them very comfortable with asking for what they feel is their due. At the same time, I can't say that these people are charitable in the way Draja suggests a person should be. They are willing to make donations to charitable causes, partially because they believe in the charitable cause and partially because they know they can get a tax deduction and being financially aware entrepreneurs they plan accordingly. Anonymous donations aren't really what they do, and they'd likely argue that however spiritually productive it might be to donate the way Draja does, it wouldn't be as beneficial in their minds to society or to themselves. The majority of magicians I know aren't wealthy. Most of them don't care to be wealthy and that's fine, but if you are serious about being wealthy you've got to be willing to devote time to learning about money and wealth and this includes learning how money works in the system it exists in. Money, in and of itself isn't bad and neither is learning how money works. I tend to think of concepts such as the sphere of availability and law of attraction as wishful thinking for the most part. It's nice to wishfully think of what it would feel like if you had more money, but if you aren't willing to earn it or work the system you are in, that wishful thinking won't get you far. Of course it is important to be aware of your attitude about money. The truth is that people are adept at sabotaging themselves with limiting beliefs about money. And working on those limiting beliefs can be very helpful because it allows you to approach your relationship with money with a perspective that is unburdened by limiting beliefs learned from your family and environment, or at least to be aware of those beliefs. But truly working with money on a practical and/or spiritual level involves understanding how money works, the way it moves and prefers to move, as well as how people who are successful with money work with it and use it. Draja's principle of the sphere of availability is an interesting principle and he rightly notes that people who have an entitled perspective that money should just come to them won't get very far, and will in fact find themselves in hard circumstances fairly quickly, but giving all your money away anonymously doesn't suddenly make you more receptive to money. Donating it to a charitable cause allows you to take a deduction, while working the system that money operates in. And I'd argue that there is spiritual productivity in choosing a charity and making a donation to support a cause you genuinely believe in. You are helping to advance that cause by giving of your own efforts to support it. Granted there are people who choose to donate money mainly for the tax break, and in that case, I think it isn't spiritually productive, but the majority of people who choose to donate are likely doing it because they genuinely believe in the cause they are supporting. They know they'll get a tax deduction, but the deduction isn't the motivating factor. The motivating factor is to contribute something of their effort to a cause that is believed in, while letting their money move, which is ultimately what money as a force prefers. Jason wrote a recent post about how he got involved in Financial Sorcery. I'm getting his new book (called Financial Sorcery) soon, and looking forward to it, but it got me thinking about how I got involved in wealth magic as well. It happened shortly after my birthday in 2006. I had shifted my elemental focus to the element of Earth and one day while at a bookstore I was prompted by my spirit guide to pick up rich dad, poor dad by Robert Kiyosaki. Up until that time I'd had a mediocre relationship with money. I knew how to handle it and make it work for me, but I had no long term plans and no idea what to do with it, beyond using it for everyday expenses. My spirit guide told me that part of grounding myself involved learning solid financial skills. Reading Rich Dad, Poor Dad didn't provide me with a font of practical financial tips, but it opened my eyes to my poor financial attitudes and helped me recognize that the mindset I had about money and finances wasn't a healthy one. I started picking up more books on finances including You have more than you think, Secrets of the Millionaire Mind, and Your Money or Your Life. Some of the books had practical financial advice and some were more about the emotional attitudes and beliefs regarding finances. All of them were useful and helped me change my relationship with money. I started planning a financial future. In mid 2007, I moved to Portland. I used wealth magic to land me a tech writing contract at Nike. At the same time, I could see that tech writing was a dead end, so I began planning my exit out of the field by getting certified as a coach. I moved from contract to contract until I worked for a telecom company, based in Florida (even though I was in Portland). I also started my coaching practice and I kept reading about finances, and started learning about investments in particular. In August of 2008, I left my latest tech writing contract, and started searching for another tech writing job, but the economy collapsed in September and I found myself with no job postings. In retrospect, I might not have quit that job. However we did have emergency savings and so I focused on my coaching business. I have to admit that 2009 and 2010 were lean years. Business was slow and I made mistakes, which happens with any business owner. Still I learned a lot and gradually business improved. In 2011, I decided to do some wealth magic for my business, even started working with Bune as a patron of my business, and he pushed me to read more books on businesses, even as he opened up some business opportunities for me, and helped me see that a rebranding of my coaching business was in order, as well as helping me to see how I could monetize Magical Experiments. I think what I've learned the most is how important it is to be financially literate so you can make sound financial decisions. I find myself fortunate enough to be in a situation where I can work on my own schedule, and work on each of my businesses with the support of a partner who believes in me completely and recognizes how hard I work. And wealth magic has played a role in all of this, in terms of educating me, but also providing opportunities for growth in my respective businesses and my life. Like Jason, I'm not necessarily out to be a millionaire or billionaire. I am out to live my life on my own terms, and I'm well on track for doing that, but it wouldn't have happened if I hadn't started learning about finances and recognized something essential: There is nothing inherently wrong with wanting to make money or be prosperous, or apply your spirituality toward your practical well being. This is actually a tip that applies to anything you want to learn, but I'm applying it to wealth magic since that's an area of magic I've been working with quite a bit. Bune, the goetic demon I've been working with, has also been inspirational in regards to this tip. If you really want to apply magic to an aspect of your life, one of the key things you need to do is learn as much about that aspect of life as possible. In my case, I started working with Bune last year in order to get him to help me with my primary business. Along the way, he's helped me see how I could also turn Magical Experiments into more of a business. But the one thing he's pushed all along is the need to educate myself if I want to succeed in business. As a result I ended up taking a Small Business Management course, which has helped me with both businesses in a variety of ways, as well as currently taking a marketing class. I've also been reading a lot of books on business development and wealth at Bune's prompting. The result is that I feel a lot more tools available to me, for both of my businesses. I also think it helps to have a patron spirit for my business. It's something I'd recommend to anyone who owns a business and practices magic. Find yourself a patron spirit that will provide support on the spiritual side, and will also give you that intuitive push in directions you need to go in, to grow your business. And make sure you honor your patron, as it is quite a gift such a spirit provides. I've done most of the work on my businesses this year and last, but Bune has been the muse for that work. Once I started working with him, I started getting pushed into directions that could help me with my businesses and I've seen a real improvement, especially in the last six months. Praise Bune! I've never worked with planetary magic. I got wrapped up into elemental hermeticism and didn't really explore the planets. But I'm taking the Strategic Sorcery course and one of the homework assignments involved possibly working with planetary magic so I thought I'd stretch myself. Jason thoughtfully provided symbols he'd gotten in his own work, but I decided it was better if I went straight to the source, and the other day in How to Meet and Work with Spirit Guides by Ted Andrews, I found pertinent information on contacting the archangel associated with each planet. I decided to work with one planet: Jupiter, which is associated with wealth magic. The archangel associated with Jupiter is Tzadkiel. The first step was to contact Tzadkiel. I meditated on the astrological symbol of Jupiter and Tzadkiel's sigil, as well as vocalizing Tzadkiel's name. It took a little while to make contact, but eventually I did. I asked him, if I could get a symbol for Jupiter that represented the planetary energy and associations with wealth and other areas. He was happy to provide it to me, but then we got into a discussion about the associations. I asked him about the association of wealth with Jupiter and what made Jupiter as a planet have anything to do with wealth. He replied it was less about the planet and more about how people perceived the planet (and associated God) with wealth. That what made it powerful had more to do with the perceptions that people invested in the planet. What I'm really tapping into are those perceptions of the power, the perceptions about the associations and how those associations can be worked with. Since then I've taken the symbol and put it on my whiteboard and each time I've done anything associated with my business or a financial transaction, I've mentally imprinted the symbol on the business or financial transaction, with the idea of drawing on those associations to provide a favorable outcome for me. I plan on doing work with the other planets (and their archangels )and also with Tzadkiel, but it is an interesting thought, to look at the planetary energy in terms of the perceptions invested into it. Jason recently posted a blog about value and wealth. He basically did an exercise that looked at the value of what he wanted to buy vs the price of what he wanted to buy vs the value of what he could put that money toward. It's a good exercise to do and its something I'm familiar with from Your Money or Your Life (affiliate link). In that book, one of the exercises has you look at the real value of what you are purchasing vs the amount of money and the amount of time spent earning that money. And much like Jason's exercise, what it really does is force you to look closely at your relationship with money and how you are spending it. So you might wonder why I'm writing about that on here. Wealth magic is an ongoing interest of mine, and I think to really apply magic to wealth in any substantial way you really have to understand money and its relationship with your life, as well as the value you ascribe to a given purchase. An unexamined relationship with money will find people buying anything that catches their interest, while also accruing a mountain of debt. If you want to do magic for a specific result, you've got to understand what that result will really look like in your life, and be prepared to handle any consequences that are associated with it. This is why people who win the lottery typically end up spending their way through the money they won. They played to win, but they weren't prepared for the consequences of winning and likely they didn't really examine their relationship with money. So they win the money and they get deluged by relatives and friends who suddenly care (as long as the money flows) and they also have vague ideas on how to spend the money. I'll buy that Porsche I always wanted or pay off the house, or whatever else. Rarely do I see anything about investing the money when I hear stories about someone winning the lottery. Money magic tends to have a similar effect. the focus is on getting the money, but once you have the money what do you do? Doing magic to get money may work, but having it is another reality and one that most people seem ill-prepared for. The question then is this: What is my relationship with money and what do I want to do with it, both now and in the future? Knowing the answer can help you figure out if you can really handle more money and if you really understand the value of what you are trying to get with that money. An important part of magical work is the relationship. Looking at your relationship with money and knowing what you want to change with it can help you do wealth magic more effectively than just trying to get money. It's that internal ingredient that is needed to effectively integrate a force into your life, whether that force is money, love, power, or something else altogether. Can you handle the consequences? Is the value worth it and do you know what you'll do with the result, once you've got it. In my business coaching practice, one of the topics that inevitably comes up is wealth and money. As I tell my clients its not enough to want money as an end goal, if you don't know what you'll do with it. You have to understand how you'll use money and how it will benefit you before you can really acquire it. That's the first step toward manifesting wealth. You recognize what allows you to attract wealth into your life and then you establish how you will use that given medium to attain and sustain that wealth. Money is just one medium for acquiring wealth. But any medium you are going to use to manifest wealth can never be an end goal in and of itself. More importantly you clearly have to define what you will do with the wealth you attain. Wealth is movement. Just attaining it doesn't mean much if you aren't sure how you'll apply it to your life. In fact not knowing how you'll apply it will likely cause you to lose it because its an indication that you aren't ready for the wealth. Manifesting wealth is a result of a process where you define what wealth is, as well as the means you'll use to get it, and what you'll do with it once you have it. Manifesting wealth is a continuous process by virtue of the fact that you are continually manifesting it and moving it in your life in order to create more. This can be a bit intimidating if you aren't sure how to continue to move wealth. This is one reason I recommend learning about finances. It teaches you a lot about what you consider to be wealth and helps you learn how to move with it, as well as how to change the direction of movement (i.e. spending). If you want to manifest wealth, be prepared for it. It's only when you are ready for it, that you should seek to acquire it. One of the questions I'm asking and answering as I start work on the wealth magic book is how I define wealth. Do I define it as money? The answer is yes and no. I think money is an essential characteristic of wealth, but doesn't solely represent wealth. Actually I'd argue that money can represent wealth, but it can also represent poverty and a whole host of other meanings. Money as a symbol is...quite diverse in meaning. Wealth, on the other hand, isn't necessarily so diverse, but certainly it can be illusive. What is wealth? What does it really mean to be wealthy? The definition of wealth is something that seems to tease people. And what one person defines as wealth another person disagrees with...not that it really matters. The real question is: Can I embody my definition of wealth in a way that is maintainable? Speaking from experience, its taken me a while to embody wealth in my life, and maintain it. I'm still learning how to do it, although I seem to be getting better at it each day. Persistence is another ingredient of wealth. You have to be persistent and focused on it, in order to attain it. That's actually true of anything you want in life. If you really want it, you'll find a way (maybe even an A). Magic is one means toward that end, and when you combine multiple means (like creating multiple income streams) it makes it much easier to achieve the desired result. My own quest toward wealth has focused on using multiple means to that end, and its a continual project, one I enjoy thoroughly. If you don't enjoy it, I advise not seeking it. My definition of wealth is simple. I love to live by my own rules. Life on my terms is wealth. This isn't to say I'm in control of everything, but rather that I am doing what I love to do, at my leisure, and maintaining and improving it, while also being able to enjoy everything that brings pleasure to me, and allows me to continue to work on the projects I value most. That's my definition of wealth. The key to wealth magic is this: Its less about using magic, and a lot more about learning how to manage money, develop and strengthen relationships, and understand that money isn't the only currency you have access to. Now let me unpack that statement for you. I noticed there were a couple other posts about wealth magic recently, and as someone who's started my own business and has managed to keep it running for just over two years, as well as helping to run a small occult press (Immanion Press), I thought I'd offer my own perspectives on wealth magic. Money Management: I've always been good at managing money for the short term, but I first really learned about managing money for long term life plans when I did a year of work with the element of Earth. Not surprisingly, money became a major theme of that year. The first lesson I learned about money management is that your attitude and beliefs about money affect your spending choices and how you approach money in general. If you have a negative attitude about money you'll be less likely to actually look at your financial situation and start managing it. I ended up doing a fair amount of internal work with my beliefs about money that year and I've continued to do so since then. The result has been an increased awareness of how to manage my money for the long term, as well as a willingness to discuss financial issues with my family and with financial advisers. Alongside with changing my internal beliefs, I also developed tracking tools that I used to stay on top of what I'm spending my money on as well as what I can save. It gives me an accurate picture of what my spending habits are, which can be eye-opening to say the least. If you want to learn more about money management, I highly recommend reading the Get Rich Slowly blog. Social Capital: Money isn't the only form of capital in wealth magic. Social capital can sometimes go a lot further than monetary capital. As a business owner one of the skills I've had to learn is how to build relationships with a wide variety of people. In fact, people won't do business with you unless they either really need your product or service and can't find it anywhere else (rare that this happens), or what happens more often...if someone refers that person to you, because s/he trusts you to take care of that person. People do business with people they trust...so who trusts you? Trust is hard to earn and easily lost, and not surprisingly you really have to get involved in a community and get to know people to truly be accepted and get business from those people. And even if you're not a business owner, this concept about relationship building still applies. Getting to know people really involves learning what those people need and then helping them out, regardless of what pay off you will or won't get. And guess what? If you get involved in a community and work to build relationships and are consistent in fulfilling your promises to that community, then that community will look out for you. I saw this in action at a chamber of commerce meeting where a member generously offered to donate one of his kidney's to another member's wife who needed the kidney. They had the same blood type...more importantly the member who offered to donate the kidney did so because he wanted to help his friend. You can't buy that kind of help...not with money anyway. Go to your local chamber of commerce meeting and you'll see social capital at work...and let me tell you that social capital is a lot more powerful than any wealth magic spell. Those are the keys to wealth magic: Financial management and social capital. The other day an acquaintance on twitter half humorously said he was glad I was posting about the occult and had wondered if I was still an occultist. Looking through some old lj entries I can certainly say I posted a lot more about magic once upon a time, at least overt magic, than I do now. Thing is though, my business is part of my magical work. For one thing it's a manifestation of my intention and my will. I'm putting a lot of intention and focus into making it successful, and its my will that my business provide me the means to be as independent as possible and enjoy doing something I believe in for a living. But on a much deeper level, it is also really a change in identity, an evolution from who I was into who I want to be, on a very intentional and focused journey. My business is just the most obvious part of that journey, because its where most of my activity is going. The changes in identity, and the learning of new skills that I've had to develop as a result, have in their own way been an act of magic for me, a very proactive approach exploring and manifesting my desires by choosing to actively change my attitude, beliefs, and also actions. My business is part of my magic because it's a spiritual journey for me. It's not just about making a living, it's about living a way of life. An article on wealth and magic on Reality Sandwich I've already gotten some interesting comments on it. I hope that it gets people to think about what wealth is to them and how they manifest it. I also think there's more to explore there...I may do so in a follow up article down the line. Meta-Magick is an intriguing book which presents readers with an opportunity to create not one entity, but actually a number of entities based off of principles such as attention, passion, trance, language, making, and Fitting. Additionally Farber provides 36 exercises which can be used by people to learn how to integrate these principles into their lives. Farber also focuses on eight powers: Communication, neuroplasticity, transformation, transmission, beauty, understanding, balance, and opening. The book doesn't overtly focus on these powers much...instead the focus is more subtle. You will experience them through doing the exercises in the book, which is what the author intended. Meta-magick definitely is not intended to be something intellectually read, so much as it is intended to be experienced and worked with. 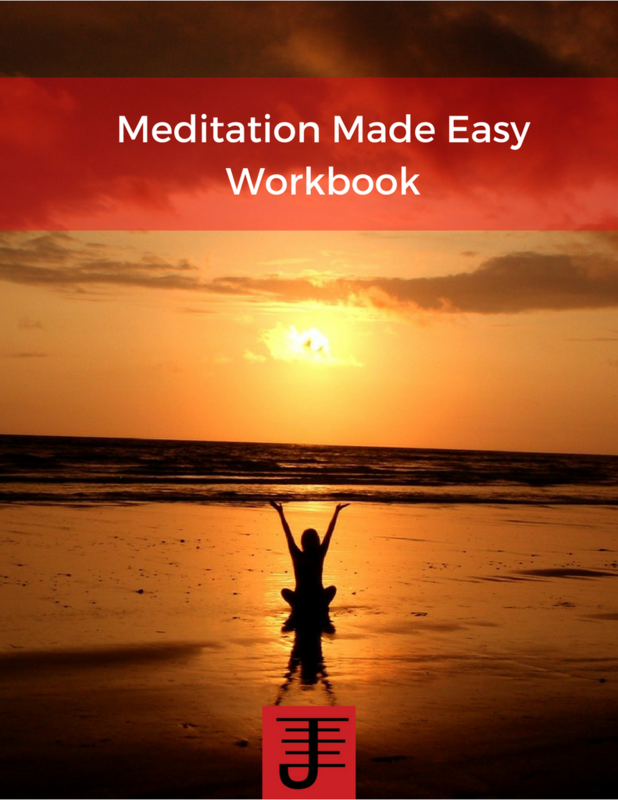 You will get a lot of leverage out of this book if you do the exercises in them. It's an excellent book to introduce people to magic, but is also good for intermediate to advanced practitioners. I did some work with body paints tonight. I find body paints to be intimate as well as beautiful. I use body paints a fair amount in my magic as a way of connecting with spirits, but also connecting with my body and its consciousness. I recommend the body paints which can be washed off with water and soap...you can find them at costume shops fairly easily.